One operator can easily lift rolls as heavy as 990 lbs (450 kg), as wide as 16 feet 5 inches (5 m), and with diameters as great as 19.6 inches (50 cm). 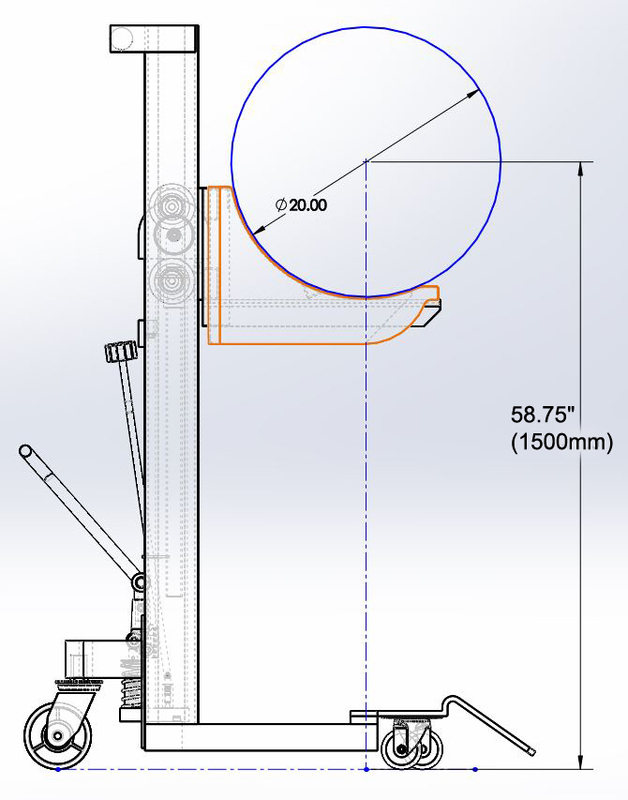 Designed for EFI, Reggiani and Matan printers, the Foster On-a-Roll Lifter Jumbo is perfect for businesses operating grande- or extra-wide printers, fabric printers, or those handling floor coverings and similar materials. Optional Tray with Roll Ramp for Jumbo Lifters. Optional Roller Ball Tray is designed to allow operators to easily load rolls on/off the tray and feed rolls into their machines from the lifter.